The piecing is straight-forward & the applique is fun to do. This sweet cot-size baby quilt includes simple piecing and applique. 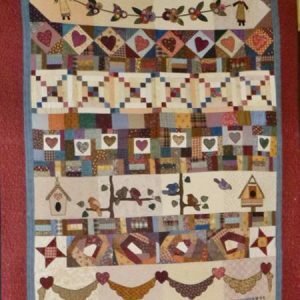 Therese likes to do her applique using fusible webbing & hand-stitched buttonhole stitches, but you can choose that method, or whatever method suits you. 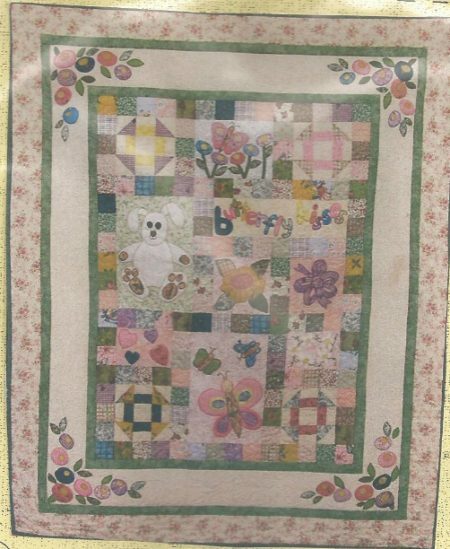 The pattern comes with full-sized applique patterns, so no need to enlarge them. 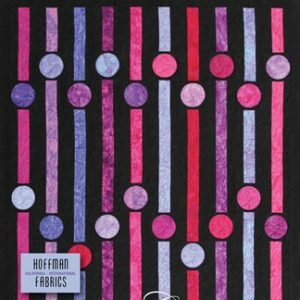 Therese has had many years of writing patterns, and her instructions are very easy to follow. 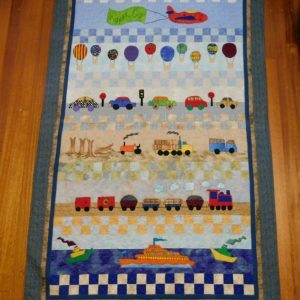 Her quilts are a joy to make – AND receive!